Modern Taiwan has a complicated political history. When I was there in the first half of first grade, Taiwan was transitioning from its rule under martial law into a democratized nation. It eventually went through rapid development and economic boom in a short period of time. When my parents and I were living in Taiwan in 1991, it was difficult to imagine the economic and academic strength it would have today. While I attended public elementary school in Taipei, my parents were growing tired of their life in the restaurant business there. They had owned a Taiwanese steak shop, but lacked the knowledge to successfully grow their business and ended up closing it. Shortly after, they opened a porridge store that ended in a similar fate. They felt they had exhausted all their options that might lead to a better life for me when I grew up. In April 1991, my parents decided to move our family to America, where they believed I’d receive a better public education. The ideal scenario would have been for us to immigrate on a visa sponsorship, but that was not the case. Instead, my parents had to overcome the challenge of immigrating to America with few resources and only possessing the skills to run a small restaurant. Neither of them had the ability to obtain a student visa for college, nor did they have the marketable skills or English proficiency that might lead to a job offering a visa sponsorship. My father’s highest level of traditional education was equivalent to that of a high school student. He grew up in China during the civil war and cultural revolution, during which there was an upheaval of the Chinese educational system. As my father was nearing the end of his upper middle school years, the country entered a period of chaos that included violence toward intellectuals, and protests that shut down almost everything in the country. Schools were closed so that the old culture, ideologies, customs, and habits could be destroyed to make way for new methodologies guided by Chairman Mao. They wouldn’t reopen until 1970, a year after my father had fled the country. Unlike my father, my mother had strong roots in Taiwan as a fifth generation citizen. She made her way through its school system, ultimately earning an associate’s degree in international business from a university whose unspoken goal, according to her, was to dispense female secretaries into the workforce. As someone who liked to pave her own way, she worked a few years at a beef jerky import/export company before owning and running the two small — and ill-fated — restaurants in Taiwan with my father. Perhaps my parents’ flawed experiences with their homelands’ educational systems are what led them to a more well-regarded one in America. One of the biggest obstacles was getting visas, which was virtually impossible given our circumstances. However, what my parents may have lacked in means, they made up for in resourcefulness: they landed on traveling under the guise of foreign tourists and overstaying our visit. We would take our chances as undocumented immigrants. To help with transitioning into new surroundings, my mother took the suggestion to sign me up for Girl Scouts in second grade. It was a great decision to set me up in a positive environment among my peers, whose families were so kind and generous in helping me get accustomed to the culture of my new country. In addition, my English dramatically improved over the course of a few short summer months and I made long-lasting friendships relatively easily. In another effort to help me assimilate, my parents also found an American name for me from a book of names, “Kelly”. My birth name is nothing like “Kellyzabeth” or “Kellyfer,” so “Kelly” was not short for anything; it was just a random name with no attachment or meaning behind it. My given birth name, 盈盈 [yíngyíng], means “full” or “plentiful”. My father likes to explain my name in the context of being “笑盈盈” [xiàoyíngyíng], which is essentially defined as a full and dimpled smile. Instead of teaching me how to educate others about my thoughtfully chosen, beautiful birth name, Yin Yin, a new name was created to make it easier for everyone else to pronounce. My Americanized name also acted as a form of protection by potentially reducing the chance of harassment and bullying. In retrospect, I would have preferred to be equipped with the tools and support to defend for myself and my cultural identity rather than avoiding confrontation. I was exclusively referred to as “Kelly Chan” for the next 11 years. That was never my name legally since I was undocumented, so there was no official documentation of it except on sign-up sheets and field trip consent forms. Every time I hear it used in reference to me now, I feel a bit of discomfort, like when someone touches my hair without permission. Being referred to as “Kelly” at school and in my social life was supposed to help me integrate into American life, but it gradually led to the the loss of my racial and cultural identity over time. In the first year after our move to the US, my parents were still calling me by my Chinese name and would often call out my full name, 陳盈盈 (Yin Yin Chan), whenever I needed to be addressed sternly. I was finally made aware of the permanence of my new identity while we were doing class signatures on t-shirts for all the second grade students in our class. I had signed the first shirt, one of my friend’s, with my birth name in Chinese characters. Our teacher thought that may have been confusing to others, so I had to sign “Kelly” for everyone else. Six years later, my eighth grade teacher had put me in a very unnerving situation while we were having a class discussion relating to naturalized citizenship in America. Unprompted and without having much knowledge of my background, she started asking me in front of the entire class about my experiences in taking the oath of citizenship. I didn’t know how best to answer and felt a wave of anxiety course through my body as my mind froze with fear. I was able to bring myself back into the moment and simply nodded “yes” or “no” to her questions, suggesting I was a citizen even though I wasn’t. The discussion lasted way too long and the stress of enduring it probably shaved a few years off my life. Even though my parents had never directly told me to avoid these types of conversations, I observed their cues in similar situations and understood not to disclose our legal status in America. Once in a while, I’d encounter an authority figure who was more understanding of my situation. In fifth grade, my parents were required to complete a form on my behalf that required disclosing my social security number. (While my parents had obtained social security numbers upon moving to the US, they neglected to do the same for me claiming, “How did we know a child would need a social security number?”) When I handed the incomplete form back to the vice principal with a blank SSN field for the second time, she silently and empathetically acknowledged what that might have meant and didn’t pressure me further to complete the form. Although I was a minority in my town growing up, I was never really someone people picked on. Having a supportive group of friends and being heavily involved in athletics likely helped prevent that. But despite having a relatively easy time navigating adolescence, there were times when I was reminded of my minority status. One day in elementary school, as I was getting on a school bus waiting to take us home, I was introduced to a new children’s rhyme. As soon as I had stepped on, an unfamiliar girl had already prepared to recite to me, “Chinese, Japanese, dirty knees, look at these”, with its accompanying hand gestures of eye slanting and chest flashing. This was the first time I had ever heard of such a rhyme, and her provocation made me feel very small. It was jarring and annoying and I contested only by ignoring her and walking away. A more enraging incident occurred in high school when a white student from the more rural part of town was purposefully and blatantly staring at me in class one day. When I turned to confront him, he proceeded to volunteer his opinion: “You’re ugly”. He had never spoken to me in the past, despite having had numerous opportunities, and these were the first words he chose to say to me. I took it as a racist statement, as a comment about my eyes and Asian facial structures, because what he said just clearly wasn’t true. With so many comebacks running in my head, the only words I could get out quick enough were “Shut up!” In the non-confrontational style characteristic of my Taiwanese upbringing, I didn’t verbalize any of my internalized rage to let him really have it. The two words I did say to him were sufficient in ending the interaction. He turned around content in having said his piece. I turned around, still angry. Perhaps the reason I had intuited the racist connotations of his insult was because comments like this were nothing new; in fact, they came from authority figures too. In a specific instance at the end of photography class, my teacher had pointed out to me just how wide my Asian face was. I was the last person to leave the classroom one day and was collecting my work from the darkroom. We crossed paths and she stared at me, shaking her head saying, “Your face is so wide, so wide.” I couldn’t make sense of why she would say that to me or anyone, so I ignored her and left the room momentarily feeling deflated and self-consciousness about my flat, round face. Even though I have always tried to avoid exemplifying any of the standard Asian American stereotypes, they somehow found a way to apply to me anyways. Math always came very easy to me and I excelled at it; my mother, despite being a waitress for many years, put quite a bit of money into piano lessons for me until I was 16 and it became too exhausting for both of us to keep up with it; my father once reprimanded me for earning a 98% grade on an exam saying, “If you didn’t work hard enough to get 100%, then there was no point in trying.” (Contrary to these examples, my parents were too busy trying to make a living to raise me in a strict, traditional Taiwanese way.) I fulfilled most of the Asian American stereotypes, short of getting into an Ivy League college and becoming a doctor. The summer before my start at Boston University was spent stressing about the logistics of enrolling as an undocumented immigrant. I didn’t have a social security number or any form of legal identity to be able to complete the forms. In an effort to circumvent that, I began the process of registering as an international student from Taiwan. But that required me to provide a transcript from a high school in Taiwan, which was obviously impossible, given that I had graduated from a high school in the middle of New Jersey, USA. Amidst the anxiety and uncertainty, I followed a fallback plan of attending student orientation at Rutgers, my state university. Despite it not being my preferred school, I was able to enroll as an undocumented immigrant while paying out-of-state tuition. All the feelings of anger, fear, resentment, loss and exasperation culminated one night at the dining table where the registration forms where spread. It was useless to have made honor roll every single year in school and to have dedicated the majority, if not all, of my time to extracurriculars. Afraid of revealing my undocumented status, I didn’t know who to ask for help, and my parents had even less insight on the subject than I did. I felt very alone in my situation. While my friends excitedly talked about their future college plans, I pretended to nod along as if I was on the same boat. In a lucky coincidence during that summer of 2002, my mother’s lawyer called to inform us that our permanent resident status was granted. It was just before Boston University’s enrollment deadline. Everything started to piece together fairly seamlessly thereafter, and I could finally relate to the excitement and anticipation of moving off to college. I enrolled in school and was set to start classes the upcoming fall. After moving into college, I quickly learned that Asians really like to group together, as I was being approached and befriended by more students of Asian descent than any other race. At first, I was uneasy with this experience because I didn’t want to exclude myself from other groups. On the other hand, I wanted to make friends, so I embraced the experience. I found that I could make certain jokes and discuss certain topics that only people from a similar cultural background as me could relate to. As it turned out, my family weren’t the only ones using the dishwasher exclusively as a drying rack. 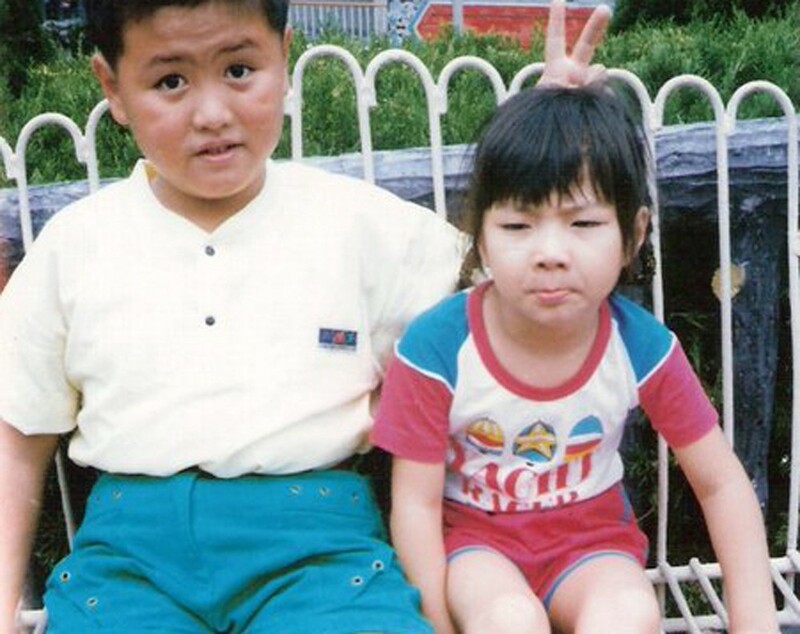 I had always assumed this habit was my family being weird, but it was actually a very Asian American phenomenon. I had an identity; I had a green card. Any career path was a possibility and everything was an option. I was eager to be out of the school environment and to learn through real-life experience instead. However, being the relatively good Asian daughter that I am, I felt a responsibility to follow through on the path of traditional education. I finished college “with great distinction” so as to not waste my parents’ hard earned Japanese restaurant money. We didn’t endure this seemingly unreal journey to not have an American college diploma to show for it. After fulfilling our requirements as permanent residents living in the US for a consecutive five years, my parents and I became US citizens 17 years after we arrived in Hawaii as tourists. Coincidentally, it was the election year of 2008, when Obama was running for his first term. My parents excitedly and happily filled out their ballots in favor of his vision for America. This was the first time they had ever voted in their lives, since Taiwan’s first direct presidential election was in 1996, five years after we left. I was just as excited for the prospect of America’s first black president, but living in New York City at the time, I was convinced that my vote didn’t matter because my state leaned blue anyways. So I didn’t vote that year or any subsequent years. I am balled up in shame stating this. My parents had afforded me many privileges that others don’t have, and I didn’t even show up for my basic duty as a citizen. During the 2016 election, I was living abroad in Taiwan and checking my phone for election results while half paying attention to my daughter in her music class. Hillary had to win. It would be crazy if Donald Trump was the president of the United States of America. As it became very clear that I and many other people were wrong, my heart sank into my gut. A South African father next to me was in complete disbelief while reading the news on his phone. I thought about how I didn’t vote. I facilitated in making this tragedy happen. I had an internal battle in trying to understand the purpose of obtaining an American citizenship when I didn’t fulfill a vital duty as an American citizen. I stopped subscribing to the idea that my vote didn’t matter, because that mentality didn’t feed into anything positive, and I didn’t want to pass it down to future generations. I recognized the privileges I held as an Asian American. I felt lucky that my race is not typically one to get targeted in deportation raids. I felt incredibly grateful that we began our immigration process pre-9/11 and we successfully became US citizens. I pictured being a Mexican American brought to the US by my parents at the age of seven and approaching college age under the Trump administration. I imagined their degree of fear, loss, uncertainty and anger and could only assume it far exceeded my own as an undocumented immigrant from Taiwan. They had — and continue to have — a much harder journey than the one my family had. In present time, my daughter has integrated into her new culture rather seamlessly, even though she lived in Taiwan for a large part of her life. Our primary struggle in raising Mia right now seems to surround language. 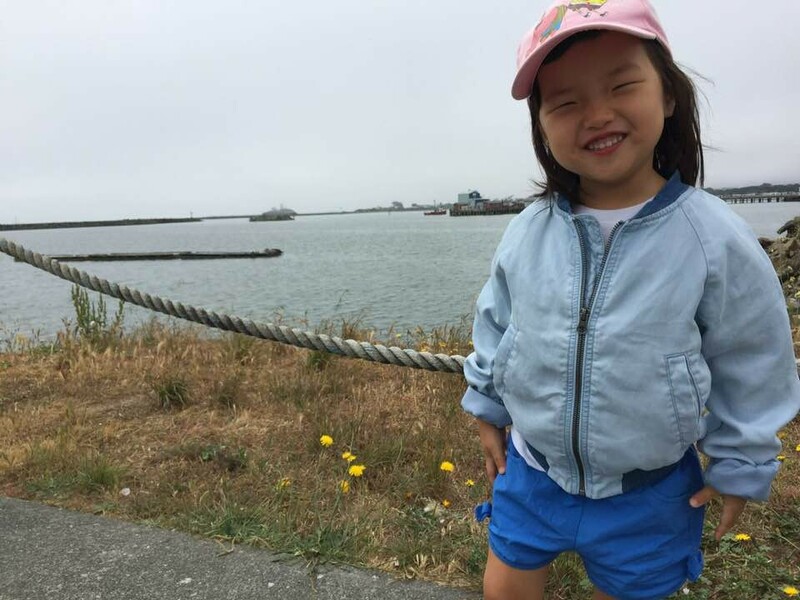 She spoke exclusively Mandarin for the majority of her life, but since she started preschool in LA, she has insisted that “all the people in California speak English.” According to her, she must also only speak English, even at home, which is a response that is unfailingly frustrating for me. Thankfully, she is quite taken to my suggestion that being fluent in Mandarin, English and any other languages will make her become “万能 Mia” [Wànnéng Mia], or “all-powerful Mia”. In addition to speaking predominantly in English, she has developed a rising inflection in her speech, a characteristic of “valleyspeak”. In an attempt to correct that, I like to show her the different ways she can speak, with my terrible impressions of New York, British and Chinese-English accents. It amazed me how Mia can identify the different manners of speech and attempt to copy them, yet naturally revert right back to her “Valley Girl” ways. Over time, I trust she will figure out a method of speech that is suitable for her. Finally, my family’s journey has come full-circle. My parents made difficult decisions in taking the path as undocumented immigrants, which transformed me into an individual characterized by a unique mix of cultures. And now, my decisions are setting the tone for my daughter’s immigrant story. They determine the beginnings of her life experiences, the diversity she sees, and her racial and cultural identity. In time, she will have a story that is uniquely her own.